Ten patients at Penn Medicine have been cured of the hepatitis C virus (HCV) following lifesaving kidney transplants from deceased donors who were infected with the disease. 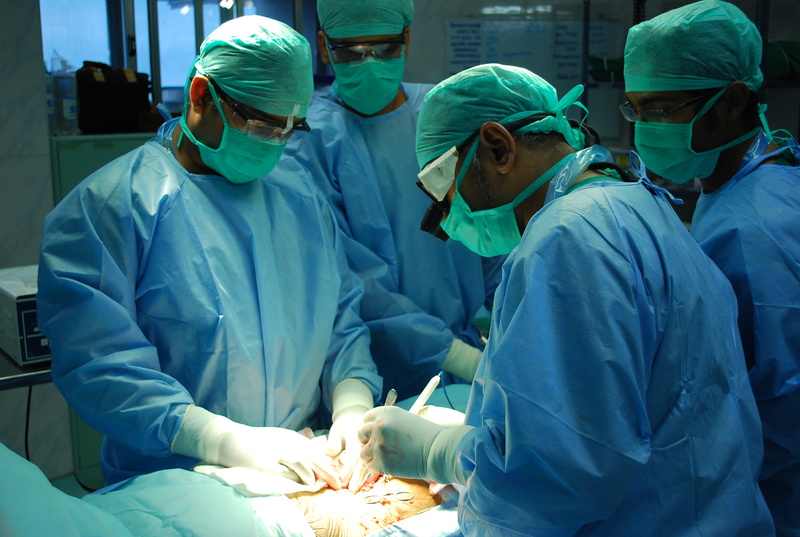 The findings point to new strategies for increasing the supply of organs for the nation's more than 97,000 patients who are awaiting kidney transplants - often for as many as five or more years. In 2016, Penn Medicine launched an innovative clinical trial to test the effect of transplanting kidneys from donors with HCV into patients currently on the kidney transplant waitlist who do not have the virus, and who opt in to receive these otherwise unused organs. Recipients were then treated with an antiviral therapy in an effort to cure the virus. Early data from the study were presented today by David S. Goldberg, MD, MSCE, an Assistant Professor of Medicine and Epidemiology in the Perelman School of Medicine at the University of Pennsylvania, at the 2017 American Transplant Congress in Chicago, and were simultaneously published online on April 30, 2017 in the New England Journal of Medicine. The letter to the NEJM is titled “Trial of Transplantation of HCV-Infected Kidneys into Uninfected Recipients.” "We started this trial in the hopes that, if successful, we could open up an entirely new pool of donor organs, and effectively transplant hundreds, if not thousands, more patients who are awaiting a lifesaving organ," Dr. Goldberg said. "Historically, hepatitis-C-infected kidneys were often discarded, and were thought to be damaged or too 'high-risk.' Our pilot data demonstrate the ability to cure the contracted virus following transplantation in this patient population. If future studies are successful, this may be a viable option for patients who may otherwise never see a transplant." Dr.
Having a non-O blood group is associated with a higher risk of heart attack, according to research presented on April 30, 2017 at Heart Failure 2017 and the 4th World Congress on Acute Heart Failure in Paris, France. Lead author Tessa Kole, a Master's degree student at the University Medical Centre Groningen, the Netherlands, said: "It has been suggested that people with non-O blood groups (A, B, AB) are at higher risk for heart attacks and overall cardiovascular mortality, but this suggestion comes from case-control studies which have a low level of evidence. If this was confirmed it could have important implications for personalized medicine." The current study was a meta-analysis of prospective studies reporting on O and non-O blood groups, and incident cardiovascular events including myocardial infarction (heart attack), coronary artery disease, ischemic heart disease, heart failure, cardiovascular events, and cardiovascular mortality. The study included 1,362,569 subjects from 11 prospective cohorts, described in nine articles. There were a total of 23,154 cardiovascular events. The researchers analyzed the association between blood group and all coronary events, combined cardiovascular events, and fatal coronary events. The analysis of all coronary events included 771,113 people with a non-O blood group and 519,743 people with an O blood group, of whom 11,437(1.5%) and 7,220 (1.4%) suffered a coronary event, respectively. The odds ratio (OR) for all coronary events was significantly higher in carriers of a non-O blood group, at 1.09 (95% confidence interval [CI] of 1.06-1.13). The analysis of combined cardiovascular events included 708,276 people with a non-O blood group and 476,868 people with an O blood group, of whom 17,449 (2.5%) and 10,916 (2.3%) had an event, respectively. 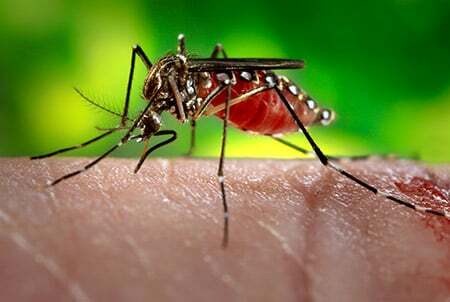 Zika virus can persist in cerebrospinal fluid (CSF), lymph nodes, and colorectal tissue of infected rhesus monkeys for weeks after the virus has been cleared from blood, urine, and mucosal secretions, according to a study published online on April 27, 2017 in Cell. The article is titled “Zika Virus Persistence in the Central Nervous System and Lymph Nodes of Rhesus Monkeys.” The research was led by Dan H. Barouch, MD, PhD, and colleagues at Beth Israel Deaconess Medical Center and Harvard Medical School and was funded in part by the National Institute of Allergy and Infectious Diseases (NIAID), part of the NIH. Investigators infected 20 rhesus monkeys with Zika virus and noted that, although virus was cleared from peripheral blood within 7-10 days, it was detected in CSF for up to 42 days and in lymph nodes and colorectal tissue for up to 72 days. Immunologic data showed that the emergence of Zika virus-specific neutralizing antibodies correlated with the rapid control of the virus in plasma. However, Zika-specific antibodies were not detected in CSF, which could be why the virus remained there longer. The authors also found that viral persistence in CSF correlated with the activation of the mechanistic target of rapamycin (mTOR) pathway, which has been shown to be related to the development of brain tissue and brain malformations. The findings suggest that persistent virus in the central nervous system may contribute to the neurological issues associated with Zika virus infection in people, the authors note. Although Zika virus usually causes mild or no symptoms in people, it has been associated with neurological disorders in children and adults and can cause severe fetal defects, such as microcephaly, if an infected pregnant woman passes the virus to her fetus. Using new gene-editing technology, researchers have rewired mouse stem cells to fight inflammation caused by arthritis and other chronic conditions. Such stem cells, known as SMART cells (Stem cells Modified for Autonomous Regenerative Therapy), develop into cartilage cells that produce a biologic anti-inflammatory drug that, ideally, will replace arthritic cartilage and simultaneously protect joints and other tissues from damage that occurs with chronic inflammation. The cells were developed at Washington University School of Medicine in St. Louis and Shriners Hospitals for Children-St. Louis, in collaboration with investigators at Duke University and Cytex Therapeutics Inc., both in Durham, N.C. The researchers initially worked with skin cells taken from the tails of mice and converted those cells into stem cells. Then, using the gene-editing tool CRISPR in cells grown in culture, they removed a key gene in the inflammatory process and replaced it with a gene that releases a biologic drug that combats inflammation. The research was published online on April 27, 2017 in the journal Stem Cell Reports. The open-access article is titled “Genome Engineering of Stem Cells for Autonomously Regulated, Closed-Loop Delivery of Biologic Drugs.” "Our goal is to package the rewired stem cells as a vaccine for arthritis, which would deliver an anti-inflammatory drug to an arthritic joint but only when it is needed," said Farshid Guilak, PhD, the paper's senior author and a Professor of Orthopedic Surgery at Washington University School of Medicine. "To do this, we needed to create a 'smart' cell." A study published online on April 19, 2017 in PLOS Biology provides information that substantially changes the prevailing idea about the brain formation process in vertebrates and sheds some light on how it might have evolved. The open-access article is titled “Molecular Regionalization of the Developing Amphioxus Neural Tube Challenges Major Partitions of the Vertebrate Brain.” The findings show that the interpretation maintained hitherto regarding the principal regions formed at the beginning of vertebrate brain development is not correct. This research was led jointly by the researchers José Luis Ferran and Luis Puelles of the Department of Human Anatomy and Psychobiology organism, albeit very close to us in evolutionary terms, therefore it gives us some insights as to what our ancestors might have been like. Hence, by comparing the territories of the modern vertebrate brain to that of amphioxus, we analyzed what might have occurred to lead them to multiply and how such a complex structure was formed in the course of our evolution,” explained the lecturer of the Department of Human Anatomy and Psychobiology of the University of Murcia (UMU) José Luis Ferrán, PhD, one of the researchers. "In this study, we used genoarchitecture as our main experimental framework to determine the regionalization of the amphioxus neural tube and compare it to that of vertebrates. Within this framework, we generated a molecular map of gene expression patterns in amphioxus, whose homologs are known to be involved in establishment and regionalization of the vertebrate brains" explains Beatriz Albuixech-Crespo (Dept Genética, Microbiología y Estadística UBof the UMU; Manuel Irimia of the Centre for Genomic Regulation (CRG), and Jordi García Fernández of the Genetics Department of the University of Barcelona. Yersinia pestis, the bacterium that causes bubonic plague, can survive within the ubiquitous soil protozoan, the amoeba, by producing proteins that protect against the latter microbe's digestion. The research was published online on April 28, 2017 in Applied and Environmental Microbiology, a journal of the American Society for Microbiology. The article is titled “Yersinia pestis Resists Predation by Acanthamoeba castellanii and Exhibits Prolonged Intracellular Survival.” The research is important because plague is a re-emerging disease, according to the Centers for Disease Control and Prevention (CDC), with 95 percent of cases occurring in sub-Saharan Africa and Madagascar. Modern antibiotics are effective, but without prompt treatment, plague can cause serious illness, or death. Y. pestis spreads from rodent to rodent, and sometimes to human, often via fleas. It uses the protective niche of the amoeba to abide in when conditions are unfavorable to its spread, that is, when rodents are scarce, said Viveka Vadyvaloo, PhD, Assistant Professor, Paul G. Allen School for Global Animal Health, Washington State University, Pullman, Washington. Amoebae are similar to certain human immune cells, the macrophages, in their ability to engulf bacteria, or other nourishing items of similar size. These are taken up within special compartments called vacuoles, which in both amoebae and humans are capable of digestion. "With this in mind, graduate student Javier Benavides-Montaño separately cultured three distinct Y. pestis strains that have been associated with human epidemics, with a common laboratory strain of the free-living soil amoeba, Acanthamoeba castellanii, in a medium that supports the latter's growth," said Dr. Vadyvaloo. Benavides-Montaño then tested Y. An international team of researchers has discovered a remarkable microbe with a Jekyll and Hyde character. The bacterium Burkholderia gladioli lives in specific organs of a plant-feeding beetle and defends the insect's eggs from detrimental fungi by producing antibiotics. However, when transferred to a plant, the bacterium can spread throughout the tissues and negatively affect the plant. Microbes are not always hostile players when interacting with animals and plants, they can also be powerful allies. In fact, transitions between antagonistic and cooperative lifestyles in microbes are likely not an exception, although such shifts have rarely been observed directly. In a new study published online on April 28, 2017 in Nature Communications, researchers from Johannes Gutenberg University Mainz (JGU), the Max Planck Institute for Chemical Ecology and the Leibniz Institute for Natural Product Research and Infection Biology - Hans Knöll Institute (HKI) - in Jena, and the Universidad Estadual Paulista in Rio Claro, Brazil, gathered evidence for such a transition. The open-access article is titled “Antibiotic-Producing Symbionts Dynamically Transition Between Plant Pathogenicity and Insect-Defensive Mutualism.” Like many other insects, a group of herbivorous beetles, the Lagriinae, is in great need of an efficient defense. They lay their eggs on humid soil under leaf litter, where encounters with mold fungi are guaranteed. Researchers lead by Professor Martin Kaltenpoth from Mainz University have now discovered that the presence of a special bacterium, Burkholderia gladioli, on the eggs of the beetle Lagria villosa strongly reduces the risk of fungal infection and helps them survive. Individuals with a slender lower face are about 25 percent more likely to be left-handed. This unexpected finding was identified in 13,536 individuals who participated in three national surveys conducted in the United States. This association may shed new light on the origins of left-handedness, as slender jaws have also been associated with susceptibility to tuberculosis, a disease that has shaped human evolution and which today affects 2 billion people. The finding was published on April 26, 2017 in the journal Laterality: Asymmetries of Body, Brain and Cognition. The article is titled “Handedness and Lower Face Variability: Findings in Three National Surveys.” The author, Philippe Hujoel, PhD, is a professor at the University of Washington School of Dentistry and an Adjunct Professor of Epidemiology at its School of Public Health. Slender jaws are a common facial feature, affecting about one in five U.S. adolescents. Past U.S. surveys measured the prevalence of this condition by evaluating how the upper and lower teeth come together. People with slender jaws typically have a lower jaw which bites a bit backward, giving them a convex facial profile and what's commonly called an overbite. "Almost 2,000 years ago a Greek physician was first to identify slender jaws as a marker for TB susceptibility, and he turned out to be right!" Dr. Hujoel said. "Twentieth-century studies confirmed his clinical observations, as slender facial features became recognized as one aspect of a slender physique of a TB-susceptible person. Researchers hope to one day use stem cells to heal burns, patch damaged heart tissue, even grow kidneys and other transplantable organs from scratch. This dream edges closer to reality every year, but one of the enduring puzzles for stem cell researchers is how these remarkable cells know when it's time for them to expand in numbers and transform into mature, adult cells in order to renew injured or aging tissue. The answer to this crucial decision-making process may lie in a most remarkable organ: the front tooth of the mouse. Constantly growing incisors are the defining feature of all rodents, which rely on these sharp, chisel-like gnashers for burrowing and self-defense, as well as gnawing food. Inside the jaw, a mouse's incisors look more like a walrus's tusks or the teeth of a saber-toothed tiger, with only the sharpened tips showing through the gums at the front of the mouth. As the front of the tooth gets ground down, a pool of stem cells deep inside the jaw, at the very inner part of the tooth, is constantly building up the back of each incisor and pushing the growing tooth forward -- a bit like the lead of a mechanical pencil. "As we grow older, our teeth start to wear out, and in nature, once you don't have your teeth anymore, you die. As a result, mice and many other animals - from elephants to some primates - can grow their teeth continuously," said UC San Francisco's (UCSF’s) Ophir Klein, MD, PhD, a Professor of Orofacial Sciences in UCSF's School of Dentistry and of Pediatrics in the School of Medicine. The Tibetan people have inherited variants of five different genes that help them live at high altitudes, with one gene originating in the extinct human subspecies, the Denisovans. Dr. Hao Hu and Dr. Chad Huff of the University of Texas, Houston, and colleagues report these findings in a new study published online on April 27, 2017 in PLOS Genetics. The open-access article is titled “Evolutionary History of Tibetans Inferred from Whole-Genome Sequencing.” The people of Tibet have survived on an extremely high and arid plateau for thousands of years, due to their amazing natural ability to withstand low levels of oxygen, extreme cold, exposure to UV light, and very limited food sources. Researchers sequenced the whole genomes of 27 Tibetans and searched for advantageous genes. The analysis identified two genes already known to be involved in adaptation to high altitude, EPAS1 and EGLN1, as well as two genes related to low oxygen levels, PTGIS and KCTD12. They also picked out a variant of VDR, which plays a role in vitamin D metabolism and may help compensate for vitamin D deficiency, which commonly affects Tibetan nomads. The Tibetan variant of the EPAS1 gene originally came from the archaic Denisovan people, but the researchers found no other genes related to high altitude with Denisovan roots. Further analysis showed that Han Chinese and Tibetan subpopulations split as early as 44 to 58 thousand years ago, but that gene flow between the groups continued until approximately 9 thousand years ago. The study represents a comprehensive analysis of the demographic history of the Tibetan population and its adaptations to the challenges of living at high altitudes. The results also provide a rich genomic resource of the Tibetan population, which will aid future genetic studies. Co-author Dr.